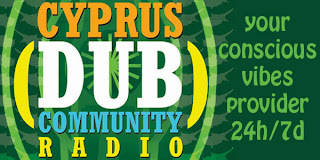 On the 6th of March, Cyprus Dub Community radio showcased some of the greatest moments of our label. Among other tunes of the Dubophonic catalog, Dub Thomas presented in his show yesterday for the first time worldwide the latest release of the Greek producer Sunjaman, which will be officially released next Sunday the 9th of March for free download, playing the whole EP "Outta Here". Nuff respect to all the Dubophonic family who joined the chatline and enjoyed the irie vibes. But no worries family. For those who couldn't make it, we have recorded the session. If you can't wait till Sunday to download Sunjaman's release, just click and enjoy the vibes.